Eurowings check-in counters may vary depending on the airport needs. Refer to flight Departures in the respective panels of information. 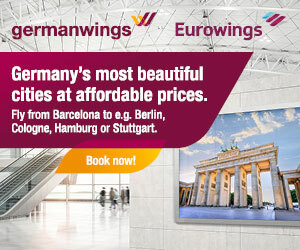 Eurowings flies from Barcelona to Cologne/Bonn, Düsseldorf, Hamburg, Stuttgart, Vienna.